Since 2016, small business owners have been keeping tabs on Google’s new mobile-first index. This new phenomenon, announced by Gary Illyes, places higher ranking emphasis on websites that are optimized for use on mobile devices. The more suitable your website is for mobile use, the higher your website will rank. Now, here we are in 2018 and after hitting many major sites, the mobile-first index is now working for small local business websites. Google has been rolling this out slowly in small batches already, but recently one of the largest batches of websites yet has been released. While Google claims the wait has been due to the need to not trigger extreme changes in search results, this raises questions about the needs of key business players. Since Google cares about rankings of large online players such as Amazon or Facebook, it seems reasonable that they would not want the mobile-first ranking to affect the rankings of these large sites if they weren’t optimized for mobile as much as other sites. For the sake of their business relationships and their determination to keep search results from changing drastically, it has been a slow roll out for the mobile-first index. For you as a small business owner, it may be time to think about optimizing your site for mobile use if you haven’t already. The bad part about the mobile-first index is that this ranking is applied whether the user is using a mobile device or not, meaning that your website will have a lower ranking based on mobile suitability even for someone searching on a desktop computer. Because of this distinction, you will want to optimize your website for mobile use even if many of your customers won’t be accessing your website from a mobile device. To Google, a mobile-friendly website is one that offers the same content on both mobile and desktop users. This doesn’t always mean the site has the same layout – just the same content is needed. User Experience: Your website will be different on a mobile device versus a desktop, and you not only need to consider dimension and orientation, but also the way the users navigate the site. Google won’t actually go on your website and rate the experience, but they will track the time spent on pages when viewed on a mobile device and compare it to the desktop version. Font: It is not only important for text to be placed correctly on a mobile site, but the font also makes a huge difference to readability. Trying using a minimum of size 14 font across your website. Spacing: A smaller screen means less space for content and text. That paragraph nicely centered on your desktop website may actually be tough to read on a mobile device. Try adding line breaks more often, making your content short and to the point, and try to imagine if you were reading that content on a mobile device. Keep the same content: Google will check that your website has the same content and links on the mobile and desktop sites. This can be tough to manage as your site may have had to be reduced to make it responsive, but it is not impossible! Continue testing! Digital services need to be continually tested for responsiveness and quality. As you add and change content on your site, you will need to change the way your content is shown on mobile devices, and this means you will need to test these changes. To keep those search rankings high, make sure to always test your changes. Once your mobile website gets going, watch your rankings stay stable and maybe even rise. Learn more about our website design service. One of the common misconceptions out there is that web designers are the same as web developers. You may think they do the same thing when in fact there is a difference between the two. Let me explain below what each person does. A web designer is an expert with graphic design software such as Adobe Photoshop or Illustrator, and uses these graphics to create certain themes or looks for a website. The designer’s creation is then attached to coding and uploaded online. It is important to note that not all web designers are experts at writing code, and they do not always deal with the coding that their designs will be attached to. Sometimes designers do not even meet the team who will help their design go live. Web designers are creative and imaginative, and need to have an eye for aesthetically pleasing images. Supplementary education for a career in web design includes graphic design, or other arts classes such as photography. Many designers even study classical art techniques in order to better understand colour, use of space, or audience. One of the most important things for a successful web designer is a portfolio of their work, used to showcase what they are capable of to potential employers. Once a web designer finishes a website, they will have to hand the website over to a web developer to code it to a live, functional website. Although some parts of a developer’s job can overlap with a designers, there are some aspects that are completely different. The main job of a web developer is to work from the back-end of a website in order to build the frame, a frame which the design is then placed on. So, it is clear to see that both jobs have a specific function in completing a greater goal: the creation of a website or online interface. In order to make a site that users enjoy, the design must be appealing, and the development must be sound so that it runs smoothly. When both these elements work in harmony, the user is more likely to return to that site. Now for the complicated part: it has become more and more common for designers to delve into learning code and for developers to begin learning design theory. This is great for those who are exploring both fields as they have a greater skill set, and it is great for employers who may only have to hire one person for two jobs. It is possible for someone to be both a developer and a designer, and this makes them a hot commodity. A benefit of this merge is that it is becoming much easier for developers and designers to communicate effectively. Due to the amount of jargon in the fields of design and computer science, it can be easy to fall into an explanation that someone outside of the field does not understand. A way that many designers and developers combat this is to avoid jargon as much as possible, and show each other rather than tell what they are looking for. As more people cross over from design to developing and vice versa, these techniques may not be needed as much. So, now you know the difference between web developers and web designers, and how that distinction is quickly blurring into one title. Although it is very possible to do both tasks well, most people will always be better at one job, and they usually make that their primary focus. Remember, don’t always assume that a designer is a developer, or vice versa! Contact us if you have any questions on web design or developement. Are You Getting A Custom Website or A Theme? Over the years, we have worked on close to a hundred websites. A few of our current and past clients have come to us with websites created or designed by another company. In a few of those cases, the client has paid a web design company to “design” them a website. But they haven’t paid for a custom design. Instead they’ve paid for a pre-made theme. I’ve listed one major reason why custom WordPress themes can be a nightmare. Another reason why pre-made themes are not a good option is that they are often bulky and very slow to load. Sure they look pretty, but they have way too many plugins and files that take the web browser too long to load. This obviously affects the user experience. In the end, how can someone can call themselves a web designer or web developer if they don’t create custom websites from scratch or have little coding experience? I’ve heard of a few reputable web design companies charge $7000 to simply plug in content to an existing theme they paid $70 for over at Themeforest. Full disclaimer: we have done this for a few clients on a serious budget. But we don’t take credit for the “web design”. We don’t believe this is true web design. In saying that, should you employ someone to create a website from scratch, or buy a pre-made theme and plug your content in? Read on. The system to use on a website varies on two factors: the server technical requirements and the developer’s level of knowledge on different platforms. Custom and pre-made templates have their share of pros and cons, depending on the site’s budget, goals and needs. A custom website design involves a designing firm that will do all the professional work, someone who will focus on your brand, goals, and needs. 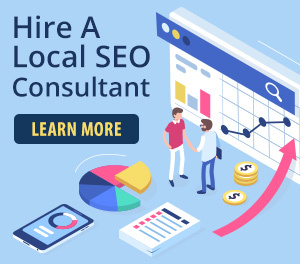 The firm will take into account the SEO best practices and determine what ROI type you are looking for. With a custom website, you will have full control of the whole process and the features to be used. Since custom websites don’t only consist of how a website will appear, the development process usually takes longer during the early stage. But, in the long run, it will save time since the designing firm will make sure that your website will perform as designed. Website designing entails great effort and time, and glitches may arise if not done properly. This is where a designing firm comes in. Templates are great for simple organizations that want a website that works only as a business card and without intricate processes. However, if you desire more than that, then custom website design is ideal for you. With a theme-based website, coding and layout are already done. 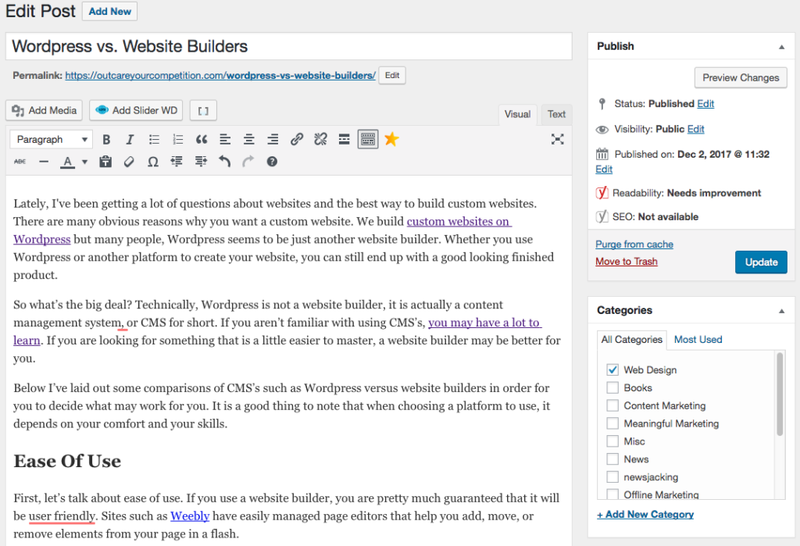 WordPress, an open-source blogging tool, and CMS, offers a wide variety of themes you can choose from. Theme-based websites are available on websites like ThemeForest, a theme website developer that aims to sell as many copies as possible. With these premium themes, they often over do it with an excessive number of plugins that are unnecessary and too many plugins causes the page load speed to slow down. What these plugins achieve could be done with just a little bit of extra coding. When using plugins. You are prompted to update them for compatibility as WordPress updates are made. This can cause the site to break and you’d have to incur extra fees by hiring someone to do the maintenance updates to ensure no compatibility issues. When using WordPress with too many additional and unnecessary functions like plugins and extra settings that are not applicable to your business, it can make your WordPress interface cluttered and confusing. Causing you to struggle to make simple website updates and changes to your site. We’ve lots of frustrated SEO clients with existing premade themes needing assistance to make, what should be, simple edits. Some web designers prefer theme sites if a client isn’t too selective about the looks of the site. This way they can easily produce a website that is up and functioning quickly. Most of these theme-based sites have coding already written for customers. The only thing to work on is applying images and content, make some minor adjustments and you are ready to go. Based on its quick setup, new WordPress sites produced from premade themes normally cost less compared to custom-coded websites based on a customer’s specifications. However, that is roughly the sole benefit a customer can get from buying a theme-based site. A website can be an extremely potent tool if created properly, but a poorly made site can work against you. No matter what kind of website you require, the most crucial factor you should focus on is choosing the right designer. So choose wisely and ask the question “Am I getting a custom website or a premade theme?”. There are many new web design trends are introduced yearly. Similar to the trends in fashion, new trends in web design are embraced instantaneously while the previous ones wane. New trends are inevitable due to the different needs of our society and the ever changing industry. However, web designers must be wise in utilizing these trends. 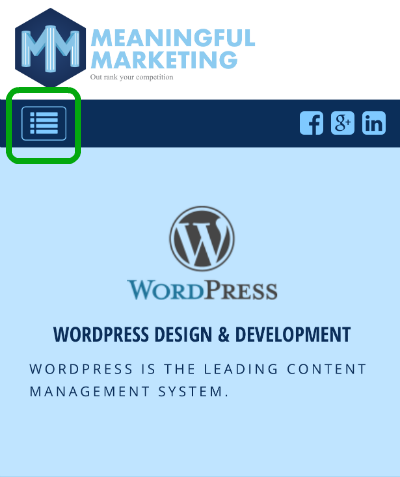 The green highlighted box in the above image is known as a hamburger menu. Due to various technological advancements, the most widely used devices to connect to the internet are handheld devices like smartphones and tablets. As a result, web developers have made designs much simpler by introducing hamburger menu. This menu hides all the navigations, and this resulted in the development of the desktop website. The hamburger menu helps by making the website clean and with one tap, you’ll open a menu instead of putting all items on the site. But this type of menu doesn’t apply to all websites. With news and e-commerce websites you have to place each menu on the front end instead of hiding it all in a hamburger. Many modern websites utilize carousels. Carousels keep the text formation and photos in order and permit the addition of visual interest. If a carousel is used frequently, the website will look almost the same and less difference will be observed. SEO specialists claim that a carousel isn’t good for search engine optimization since it has no text and prevents sufficient meta info from getting into a page. It isn’t vital for a text to be over the fold; however, Google will not recommend placing the content lower down the page. A carousel will push the text lower, which greatly affects the usability. A carousel gallery with high-resolution pictures will not only be under-optimized but will also slow down a front page of a site, which must load as fast as possible. It seems that you can find floating element almost everywhere – from floating social media icons that let you click it to floating menu, which does not disappear even if you scroll down the page. It’s no wonder that they catch the attention of users. However, floating elements can push away users by obstructing the content they want to look at. For users who access a website through their mobile, floating elements can be a nuisance, since the small screen can block more of the content. This is a sure way of dissuading users from staying or going back to your site. Nobody wants to face a complex load screen which can’t be easily removed and forces users to sit through it. If a site has a flash animation that lasts more than 10 seconds and doesn’t let the user see the content, it’s likely they will not revisit the site at all. Another loading screen that prevents the user from revisiting is a counter that climbs to 100 percent. This counter is normally placed in the middle of the screen and requires the user to wait until the site finishes loading. Parallax scrolling produces an impression of depth by letting the background of the content move slower than the foreground content as the user scrolls down.If used well, the results are amazing, and recently it has become popular. A good example of parallax scrolling used effectively is the site for the Firewatch game. It is perfect for sites that require amazing presentation and have less text, like websites that showcase services and products. However, issues may arise if parallax scrolling is applied on sites with a lot of content. Parallax sites have the tendency to use a single page instead of separating the content into various pages. This can badly upset SEO for it can restrict the amount of content that search engines can crawl. Sometimes there are texts that are embedded in graphics, which further restrict content visible to Google. All of the mentioned trends are amazing if they are used properly, however, be careful and take into consideration the possible problems you might undertake prior to using them. Websites greatly vary, and it is in the hands of web designers to determine what’s best for a certain website.